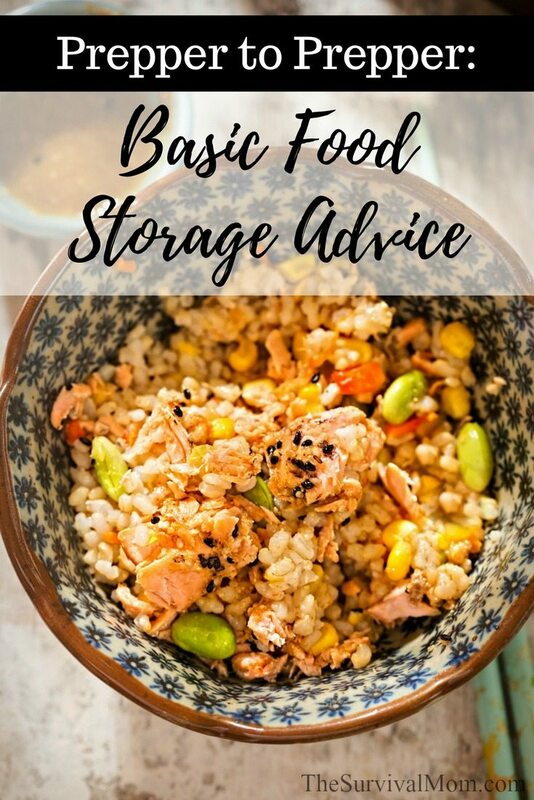 Getting started with food storage can be a challenge. Where do you start? Do you go with the advice from old-timers and stock up on wheat, beans, and canned tuna? Really. 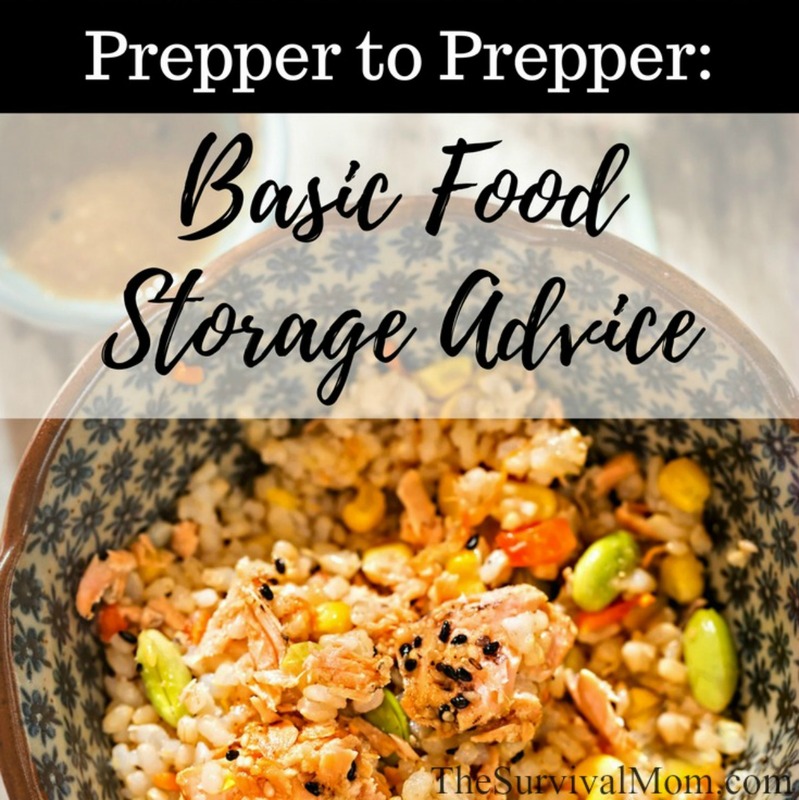 What is a new prepper to do to get some good, basic food storage advice? Hi everyone. My wife and I are getting ready to tackle the bulk food storage monster. We are looking to get between 6-9 months of the life sustaining foods, i.e grain/oats/rice/legumes/sugar/fat etc. In regards to storage, what have you found works the best for hundreds of pounds of grains/oats/rice etc? I posed this question to my Facebook readers, knowing they would offer excellent advice, and did they ever! I thought you might like to read the advice in their own words. There are a lot of gems here and not just for beginners. My two cents worth here. Go with 5 gallon buckets. Many purchased from the local donut shop at $1.25. My variation on Mylar bags and oxygen absorbers — a chunk of dry ice, about 3×4 inches. With this on the bottom of the bucket and little piece of paper towel over it, pour in rice or beans or wheat or corn or a mixture of things. Put the lid on, but do not snap it tight. Wait a few minutes until the bottom of the bucket is not real cold and snap the lid on. Dry ice, which is CO2, forces out the air in the bucket. I recently opened rice and a mixed container which had been sealed five years ago. Everything was fine. Obviously we did eight or 10 of these buckets at once. Got dry ice from the local grocery store. Be sure to wear gloves when handling it. When doing a mixed container, I put the Ziploc bag with various condiments from Taco Bell and other places, salt, pepper, hot sauce soup mixes and lots of things which can be put in the cracks and crevices in there. Also, put in the Ziploc with matches( in a small spice bottle) a couple of boxcutters and a manual can opener. Sam’s had tomato sauce, crushed tomatoes, etc. for three dollars and change per #10 can. We placed these on heavy-duty shelves, $39–49 at Lowe’s. Plastic totes are great for storing sauce bottles, small cans, etc. just make sure to rotate your stock. If you find someone who is like-minded, you can share things like 50 pound bags of pinto beans, rice, etc. We got corn and wheat from the feed store. No need for expensive freeze-dried MREs. Two IBC totes and a Berkey water filter and you can survive hurricanes, natural disasters and snowbird season here in Florida. Welcome to the world of just common sense. Walmart and Cash and Carry are both cheaper here for flour and sugar than Costco. Remember, if you store rice, store white rice. The oils in the brown rice go rancid very quickly. I buy tons of canned goods when they go on sale. I LOVE a good case sale. And before you jump in to buy all that grain, rice, oats, etc., make sure it’s something that you really eat. Don’t buy it just because it’s on a bulk foods you must store list. Make sure it’s a part of what your family eats every day, so that you can rotate through it, know how to use it, and actually eat it! You should look at the LDS cannery ..they used to have good prices on bulk foods. And they used to have multi #10 cans cases of beans, rice, and wheat in cases. Note that you do NOT have to be a member of the LDS church to access the cannery. They will provide services and resources to the entire community. These cans each have a 20 year shelf life, so whether it’s freeze-dried chicken, mixed vegetables, fruit, beans, or rice it will be good as insurance for a good couple decades. Buckets are great, but rats can chew through them. Store them where you think you can protect them from rodents. Also, plastic is somewhat air permeable, so mylar bag inserts are a really good idea. For basics, the LDS site is the best. You can get flour, wheat, beans, rice, sugar and some pasta already processed in #10 cans and boxed by the 6 can case. All my beds are on these case lot boxes so they take up zero extra room in my house. The prices are extremely reasonable since the church only covers its cost. I wouldn’t store anything in garbage cans just because the sheer weight of the thing will be prohibitive…unless you have a forklift lying around! Buy dry goods in bulk whereever is cheapest. Transfer into 1 gallon Mylar bags with 1 oxygen absorber per bag. Weight, date and label each bag. Store bags in 2 1/2 gallon food grade frosting buckets available free at any bakery. Each bucket will hold 3 gallon mylar bags. Label each bucket with contents and date. By using these buckets you keep the weight to a manageable level for easy moving. It’s also food grade and water proof. Rotate stock as used. Use the food stoage calculator to figure out what you need and use an excel spreadsheet to keep track of your inventory. Lots of work but you will save thousands in inflation costs and be prepared for almost anything. I love my Costco shelves. I like the 5 gallon buckets. I put mylar bags inside of them then oxygen absorber. It might be overkill but I want it rodent free and to have the best possible chance of keeping fresh longer. I store a lot in 2 liter soda bottles and mylar bags. There is just the 2 of us so dont want large containers open at once. I also store flour, rice, and oats in 1 gallon jugs. Works great for an elderly person, oops forgot sugar also!!! I rotate my storage a lot and used it last year when my husband was laid off. What I found is that I prefer smaller cans because I usually don’t need larger sizes. We have three kids left at home at this point. We still only cook for 5 people, one meal at a time and if you are in a situation where you don’t have refrigeration you may not want to have to store the large can leftovers. Check dried goods: rice, flour, grains – frequently for bug infestation. You can mix food grade diatomaceous earth in with dried goods and it will kill pantry moths and weevils. It is safe for humans and pets (as long as it is food grade). It works by shredding the exoskeletons of any soft bodied bug. It is used in grain silos to keep bugs from infesting grain. You can probably get some through a feed store. Some garden centers carry it. You can also order it online, but check the shipping cost. Pantry moth larva and weevils can squeeze through some very tight fitting lids. We’ve been fooled often by them. If you have food allergies or intolerances in your family, I suggest you keep purchases to simple ingredients. Someone who has allergies/intolerances, has more risks to develop other ones. For example, you keep tomatoes, meat, potatoes, ect, separate and learn how to cook a stew, instead of purchasing cans of stew. A big part of your storage will be useless for this person if it happens. It happened here, and I felt lucky I didn’t have to give away everything because I kept it to simple ingredients. Imagine someone becomes allergic to tomatoes or wheat (flour) after you have completed your storage. Such ingredients are real problems because they appear in everything. If you decide it is 50 gallon cans, think of a strategy to divide it in smaller quantities for your everyday use once opened (except maybe if you have a large family). Once a can is opened, you loose the freshness every time you open it again (humidity for example). Maybe a better strategy for some people is to vary the size of the cans. You eat more of this, so larger cans. You eat less of that, smaller ones. What is your physical ability? Are you and your spouse able to lift a 50 gallon garbage can full, in case you have to move it? Not everybody can do it alone easily. I met a person who was physicaly strong, but she had days her hands couldn’t open anything because of a chronic sickness. Another one, very strong also, but his back was fragile sometimes. Once, a friend discovered an inflated can at a volunteer place. Not everybody there knew about botulism. I was glad I could easily bring it outside. You don’t want to drop it on the floor because it is too heavy. Buckets are great! We have some with regular lids. Some, that we would open frequently have the Gamma Seal lids. (These lids allow you to have a screw-on, airtight lid on the opened bucket, rather than having to pry off the bucket lid every time you need to access the food.) #10 cans are also good. Go to www.providentliving.org and look up food storage, then find information on the LDS Home Storage Centers. BTW, you do not need to be LDS to buy food there. We have several of the shelves from Costco/ Sam’s Club. They are great! Put the thin bar across the front of your shelves, not the back. We have some shelves from Thrive Life that rotate the food for you too. Love those! Bought on Black Friday sales. In the end, do what works for you and you budget and space. Ours has changed many times over the years. To start, I suggest purchasing a basic 3 month supply of your everyday foods! Then add a little each time you shop. I have a mix of freeze dried, dehydrated, LDS, Thrive Life, 5 gallon buckets with Gamma Seal lids. It really depends on the item. I actually eat what I store. Be realistic. I buy boxes of red beans and rice, Zatarians, use a freeze dried beans, It cooks super fast and is nutritious. Same with scalloped potatoes. These are easy to cook comfort meals that are good for emergencies. Add a can of Costco chicken and you have a great meal. Check out Latter Day Saints food sales. We stay with #10 cans for ease of movement if necessary. And occasionally open one to enjoy and check out how they are holding up. Also, I use the wiring shelving from Lowes…supports a LOT of weight. 5 gallon buckets are good. Buy parboiled rice. You can buy it in 1.5 lb bags at the 99c store. The arsenic is rinsed off, it is cleaned and it cooks faster. The commercial wire shelves on big casters I got on Wish.com. I purchased (3) 5 shelf shelve sets. My 5 gallon buckets of sugar, wheat, oats, pasta, beans, rice, pancake mix, powdered milk, powdered eggs, and homemade cake/brownies. I can homemade pasta sauce, chicken chunks, beef chunks, and pork chunks. Hamburger is cooked and dehydrated for skillet meals. I have 5 gallons of raw honey, 2 gallons of molasses. Buy cases of canned veggies when they go on sale and put together zip lock bags of bread ingredients stored in 5 gallon buckets since baked bread is a staple for meals. Don’t stock up on a lot of canned green beans and corn. Stock up on something you will eat every day as you are doing now. Green beans and corn don’t have a lot of calories. The way I think of it is, it depends on the food. How long will it last once you open it? Will it last long enough once opened for your family to consume it before it goes bad. Also, only buy foods you know how to use and that you will actually like to eat. No point in buying wheat berries if you dont have the manual grinder to process it and if you don’t know how to cook with it. I have a family of 4 including 2 small children. If I store rice in a 5 gallon mylar, will we use it before it goes bad once it’s opened? Possibly not. So i put it in 1 lb mylar bags. We can pull out smaller amounts at a time. Azure Standard is my go to for bulk organic and gluten free options. Love them! 5 gallon buckets lined with Mylar bags are my favorite way to store in conjunction with my food saver in usable portions. If you live in a hot and humid environment, you have to store the food a little differently. I live in Florida, and I recommend sealing 1 lbs to 5 lbs in mylar bags and storing those in sealed 5 gallon buckets. It creates a double barrier and smaller bag sizes if you have to open them in an emergency. It might seem more expensive, but it is better than losing everything to water or humidity. It also makes great barter material in a shtf situation. We have a combo of both. My husband built shelves out of 2×4’s and plywood and we can stack three to four cases of the number ten cans. I believe the LDS cannery has the best price for most of the staples, and they come sealed and in the box. I also have buckets on the bottom of this shelf with items in mylar. good inventory and a plan is key. I have two week worth of rice and beans stored in Mylar bags with oxygen absorbers. The rest in 5 gallon buckets of the same. We can and freeze our own veggies and meat already. Stock up on plenty of seasoning and please don’t buy stuff you won’t eat. I have a friend who prepped 55 gallon barrels of grains only to figure out they are too bulky to transport. Also, once they are opened, they either need to be divided up and resealed in smaller containers or used. And who can use 55 gallons of rice? Unless you have a way bigger army than most! We like 5 gallon buckets, easy to stack and you only have a small part of your stores open to the air at a time, so less risk of bugs, mice or whatever getting to it. We keep them sealed tight with the regular lids, but once open, we exchange the lid for a screw on style. Depends on the size of your family and the time period in which you’ll use it. Once mylar or buckets are open, they are susceptible to many organisms that will make your food inedible. Double to triple serving sizes max. Filling tummies is fairly easy. Doing it safely and palateably is different. Also, your family will need variety to keep harmony. Much of our emotional well-being depends on the gut. I personally like 5 gallon buckets with the gamma lids, so that I can access and rotate my food. I built shelves for food storage but I do have some of big Home Depot style orange shelves and they would work well. I also have some mix of number 10 cans but i like them less because they seem so bulky. For things that i rotate through slower input a Mylar bag in the bucket to keep thing fresh. I live in Utah and we have an industrial container store that sells buckets and lids for a great price, a lot less than the e-prep stores. I have muscle racks from Sams Club. They are so heavy duty so hold A LOT of weight for totes, #10 cans, buckets. They are adjustable and I want to say each shelf holds up to 1000lbs??? I think the racks are around $160. I have found some great prices on Augason Farms products online at Walmart and Sams Club. For #10 cans the LDS cannery has some of the best prices on pantry staples. Emergency Essentials has other items like baking powder, cornstarch, etc in smaller cans which can be nice to look into. We have our wheat, rice, oatmeal, sugar, beans, etc. in 5 gallon FOOD GRADE buckets. Make sure they are food grade. Our local Winco grocery store sells them. We make sure at least one bucket of each thing has a gamma seal lid on it. If you take the regular lids off and on and off and on they will eventually break then you have a bucket. The gamma seal lids have a screw on/off lid. Never stack buckets with gamma seal lids more than two high. Regular lids can be stacked three high. I know people who stored wheat in 55 gallon drums then found out they had to move. HUGE MISTAKE. We disinfect the buckets with apple cider vinegar then let them air dry before putting food in. We’ve been doing this for 40 years. Just remember any grains you are storing that might be used for seed like wheat, corn etc you should not use oxygen absorbers. They will germinate much better if they have oxygen. I have a dry pack canner so #10 works for me. 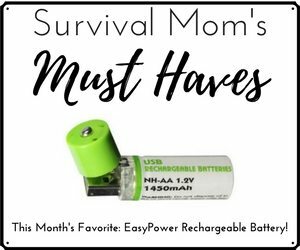 If you can get into a food purchase group you can get monthly deals from Emergency Essentials, good prices and free shipping. Only 2 of us — 1 old lady and 1 young girl — so we couldn’t handle large containers. 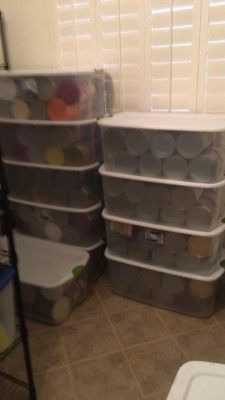 I converted a coat closet to storage space but use smaller containers and cans. I think bulk is great but you have to go with what makes the most sense for you and what amounts you can rotate. Winco has buckets and gamma lids. It also has food in bulk and a person can get barrels of items that way. Basically I would think in terms of mixed contents for five gallon buckets. I always use Food Grade buckets only combined with good Mylar bags and oxygen absorbing packs. By mixed contents I mean bags of rice (white) beans various types along with pasta products etc. this way you do not expose five gallons of rice or beans all at once. This extends the overall life of your food supplies. Big thing is practice closing and sealing the Mylar bags. Learn to use your iron to heat seal. Mix your food storage. You need some canned goods, even some freeze dried, storing what you eat not what is cheap. Look for things that can extend meals like soup bases, pasta, TVP is also part of our program. Big thing is hit the basics first and build on that. 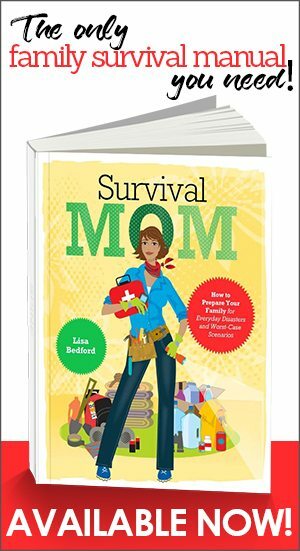 Lots of good advice here from preppers across the country. For more information and details, check out this page for more food storage resources. When I first started packing food away in buckets I went with single food type – all rice, all lentils, all drink mixes, etc. Now that I have a decent amount of food put back, I’m making sure I mix it up a bit with spam cans, rice in mylar pouches and salt and/or soy sauce. So I sort of have complete meal kits in a bucket. And I have bought various pantry sized cans of sauces to increase flavor and nutrition. Alfredo sauce, tomato sauce, mild hot sauce, and Italian seasoning mix come to mind immediately. Since those cans are so well sealed, I don’t bother putting them in the buckets. I also have some #10 cans of cheese sauce powder (think boxed Mac and cheese) since I couldn’t find it in a pantry can, but I store lots of ziplock freezer bags (both quart and gallon sizes) and can use my silica packs to keep it fresher – hopefully long enough to use it up. Cheese sauce over pasta, rice or broccoli will be a nice change of taste when things get boring. Other than the rice which I buy at a local warehouse club, most of the items were purchased over time as they went on sale. 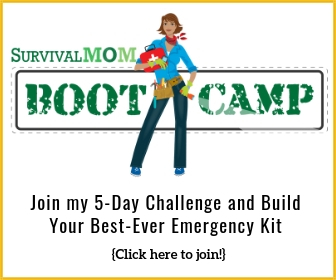 I subscribe to a few prepper online store email lists as well checking the local supermarket ads religiously. Buying a case on sale every once in a while adds up quickly. Hopefully that didn’t ramble too much…I’ve been prepping for a long time now and while I hope I never have to use my long term supplies for an event, it’s always nice to just pop into the mega-pantry when we’re cooking dinner and grab the fixings for side dishes without running to the store. Re larva squeezing through tight lids. I don’t think so. My (sad) experience is the eggs were already there, as the moth definitely is not squeezing anywhere to lay eggs and thus the need for dry ice or oxygen absorbers. I don’t use diatomaceous earth but if you do be careful of what type you get. Just realized I’ve been doing this for 40 years! How time flies. Gale, you’re right about the bug eggs. I know it’s a little skeevy to think about but *nearly all* grain products (whole wheat berries, biscuit mix, pasta, cornmeal, anything) already have bug eggs in them. That’s what the dry ice is for; it helps stave off rancidity and it also prevents (ew) hatching! Or you can freeze the items for a week and then store long-term, but that’s a lot more trouble than it sounds like and doesn’t help prolong shelf life. 1) We’re getting out of the habit of calling them Canneries bc you can’t seal things in #10 cans yourself anymore, it’s all pre-done now. You might hear people refer to “the Storehouse”. While that’s not technically correct (The Bishop’s Storehouse serves a different function and is not open to the public), the 2 entities are nearly always in the same building with the same hours and many Mormons use the terms interchangeably. 2) many Canneries, oops…”Home Storage Centers” are open very limited hours or may even be **closed for renovations** and should be called THAT WEEK before going. Don’t trust a recording. Talk to a real, live person who actually answers the phone at the storage center. 3) the best part? many of them have something that is not advertised on the Internet: 20-lb paper bags of both red and white hard wheat at an amazing price! No, you can’t #10-can them and they can’t ship them, but if you live in a reasonable drive or a friend is going near one, it’s definitely worth a little effort. Again, call ahead and make sure before going. I think in addition to dry beans, rice and such, that I would have some home canned versions of these in case water is at a premium. Beans, rice, quinoa, etc., require lots of water, and if it is in short supply you are going to be in trouble. Having HOME canned versions of these will mean that until water is more readily available, you can eat and have protein available to you. I’ve heard of others ‘canning’ water, too! I noted one person mentioned having some canned, frozen, dried, freeze-dried, mylar bagged, etc., meaning ‘don’t put all of your ‘eggs’ (food) in one basket’! Vary it just in case something goes wrong with say, your dried food, you will still have frozen or home canned and so on. Good idea! 2 liter soft drink bottles are permiable, they will let air in. Just ask any Coke man or Pepsi man . They have to rotate their stock of plastic bottles, bear that in mind when storing dry goods. 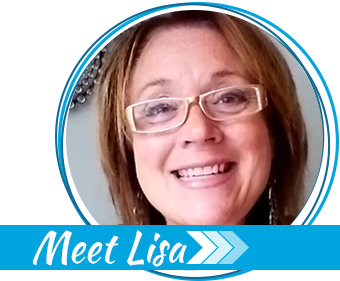 Dear Lisa- First off Thank you this fantastic ministry which you are sharing with regular folks. I’ve been reading and studying your information for a long time. Not sure one can ever learn enough. Your openness and creativity has brought me to the point that I’d like to share an issue which is close to my heart. To expand this knowledge to those who are the most venerable or have the least resources. 1. Contact the extension office and see about taking the Master Canner’s class which is offered in most states. 2. Then approach one or two of the larger food pantries or banks in your area and offer to teach a class to their clients on simple ways to preserve foods. Blanching, freezing, etc .As the teacher – show up with water bather, zip locks, bowls, etc what ever u may need to blanch n freeze. 3. Work out something ( or have the food bank do this) with the local Farmer’s Market in which for $10.00 in food stamps they will value $25.00 worth of fresh produce. Encourage the food bank clients to eat fresh food. I understand there is a Federal Program which helps in this matter. 4. Break up the types of classes – like blanching, freezing, get a nutritionist to come out and talk about good food, the list goes on as extensive as one wishes, cooking for 1 or 2, left overs. Offer in spring,summer, and fall. We have a great deal of different types of squash which can store just on the floor of a pantry for long periods… could make a difference between life and death. In my opinion its the poorest , homeless, elderly which will suffer the most in a giant full blown terrible happening. Most of these folks are ready to learn any tools which make their lives better. It helps and in my opinion really helps us all. Out in Colorado the local merchants were so up with this that they donated most all the supplies. we created fact sheets, handouts, recipes, Q&A, bring in other experts, maybe even offer door prizes ( we gave ball canning books 8.50 as door prize.) hands on folks prepped cleaned and bag. The extension office gave brochures, and goodies. They were held on Saturdays and were about 4 hours long.This can be expanded in many ways… and look how it’s helping. The folks who have to go to food banks don’t want too but don’t have the tools. I did this as a ministry – I was led to do it- others have own reasons. Anyway thank you reading this and I’m hoping you’ll see enough merit to maybe post about it – it can help folks everywhere. If it’s not what you’d like to do – then thank you at least reading it. Have a great day and keep prepping away.